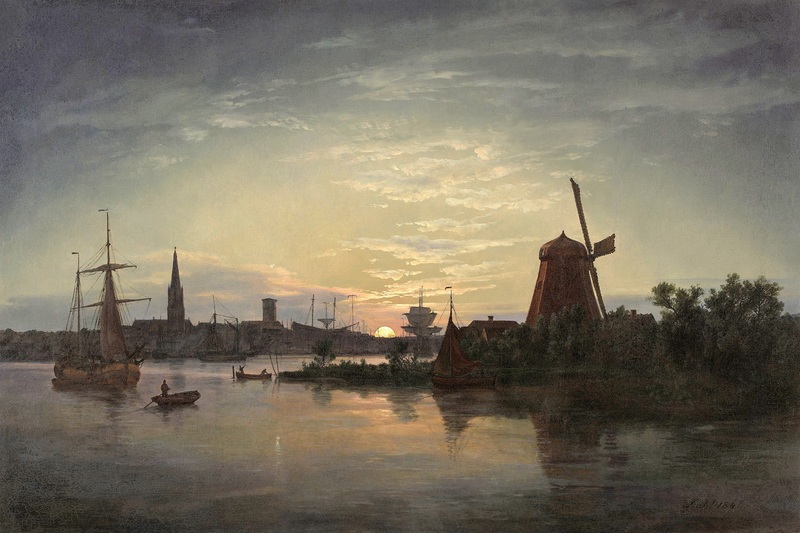 Johan Christian Dahl – Pommersches Landesmuseum. Title: Swinemünde bei Mondschein. Date: 1840. Materials: oil on canvas. 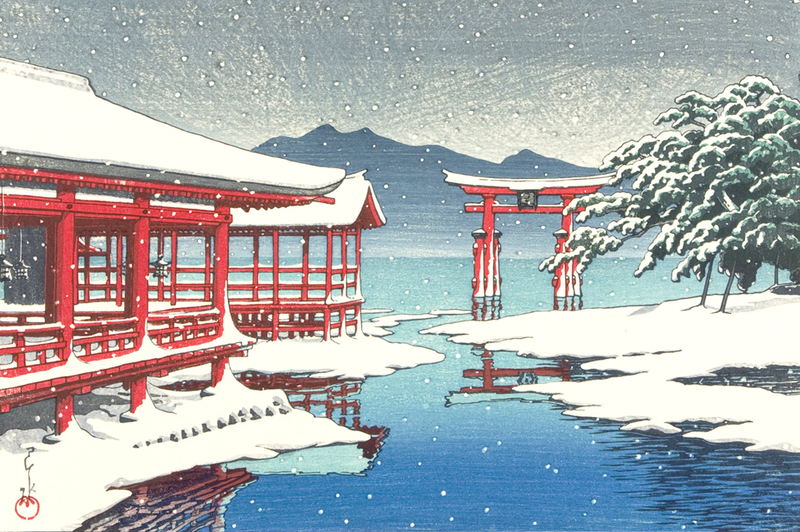 Dimensions: 54.5 x 82 cm. Inscriptions: Dahl 1840 (bottom right). Acquisition date: 2012. Source: https://commons.wikimedia.org/wiki/File:Johan_Christian_Claussen_Dahl_-_Swinem%C3%BCnde_i_m%C3%A5neskinn.jpg. I have changed the light and contrast of the original photo. Eduard Stiegel – private collection. 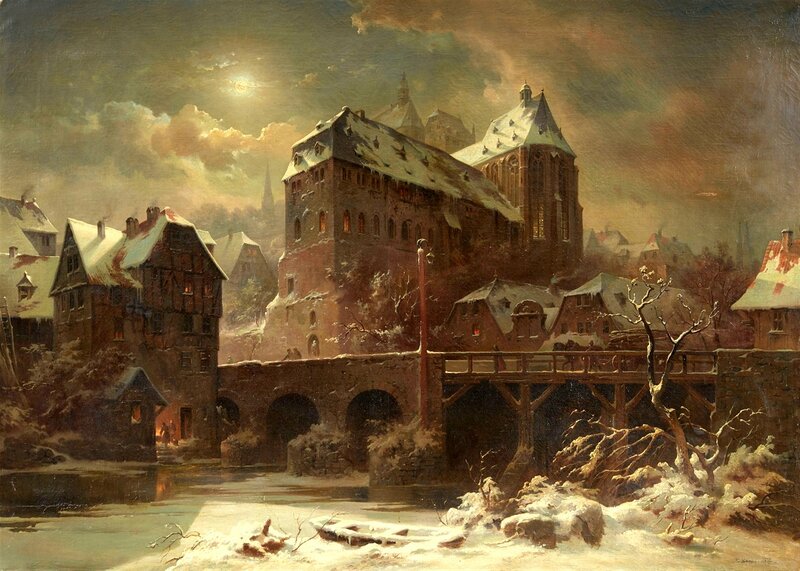 Title: Ansicht von Marburg mit alter Universität, Lahnbrücke und Deutschherrenmühle. Date: 1868. Materials: oil on canvas. Dimensions: 105 x 147 cm. Inscriptions: E. Stiegel 1868 (lower right). Sold by Lempertz in Cologne, on March 16, 2016. Source: https://www.lempertz.com/es/catalogos/lot/1064-1/146-eduard-stiegel.html. I have changed the light and contrast of the original photo. Bartholomeus van Hove – Haags Historisch Museum 1939-0013-SCH. Title: Het Oude Vrouwen- en Kinderhuis aan het Spui (2). Date: 1830. Materials: oil on canvas. Dimensions: 45 x 36.5 cm. Nr. : 1939-0013-SCH. 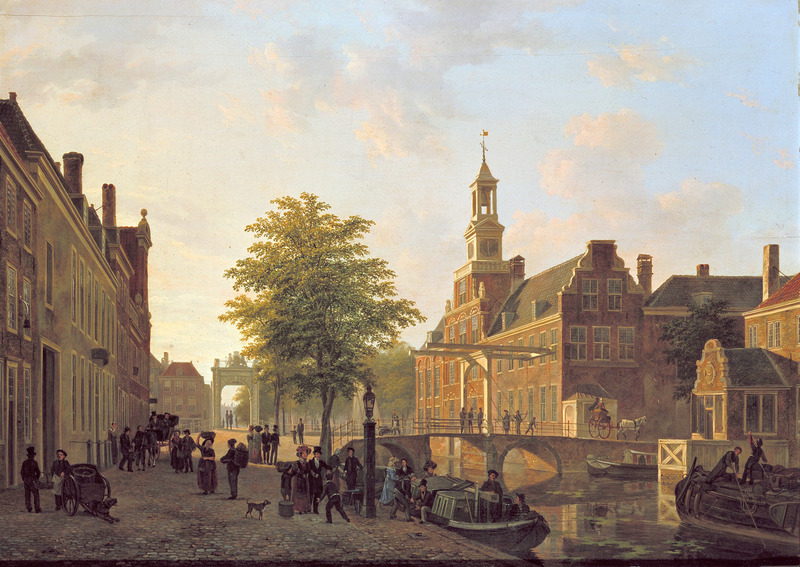 Source: https://commons.wikimedia.org/wiki/File:Bartholomeus_Johannes_van_Hove,_Gezicht_op_het_Oude_Vrouwen-_en_Kinderhuis_aan_het_Zieken,_ca._1830.jpg. I have changed the light and contrast of the original photo. (La Passerelle). Date: 1767. Materials: oil on canvas. Dimensions: 47 x 66 cm. Nr. : 2010-146-1. 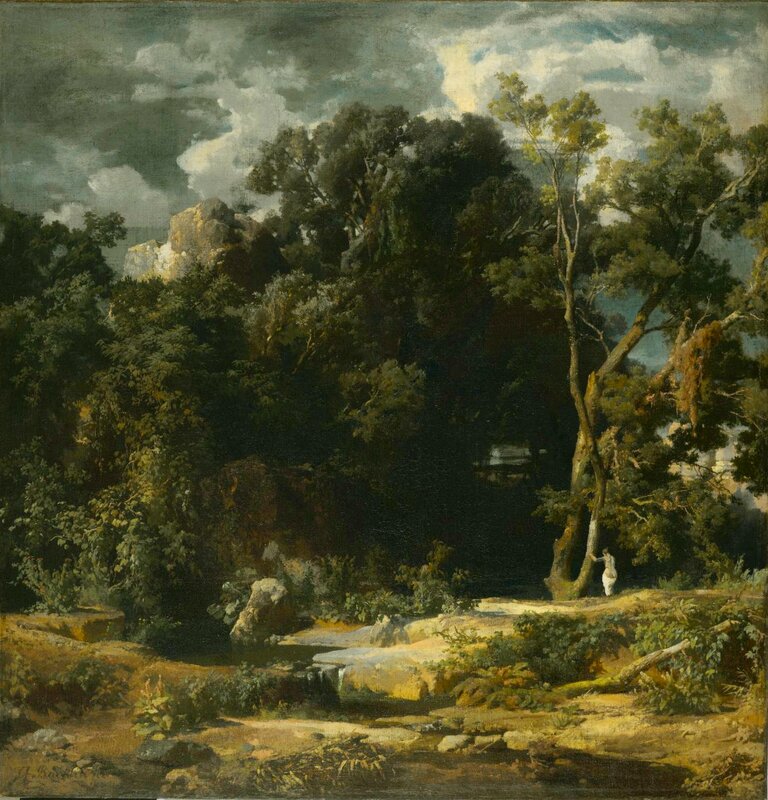 Source: http://www.philamuseum.org/collections/permanent/315515.html?mulR=943390492|5. I have changed the light and contrast of the original photo. 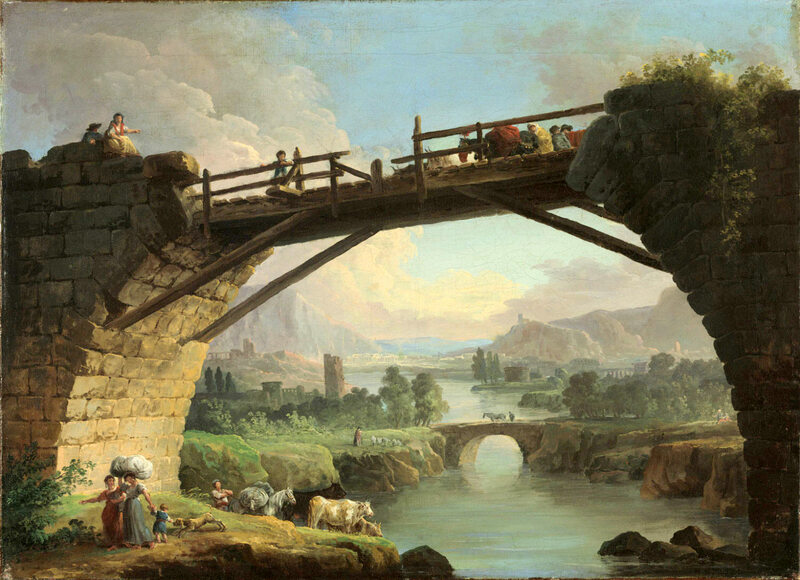 Canaletto – The Royal Collection RCIN 400520. 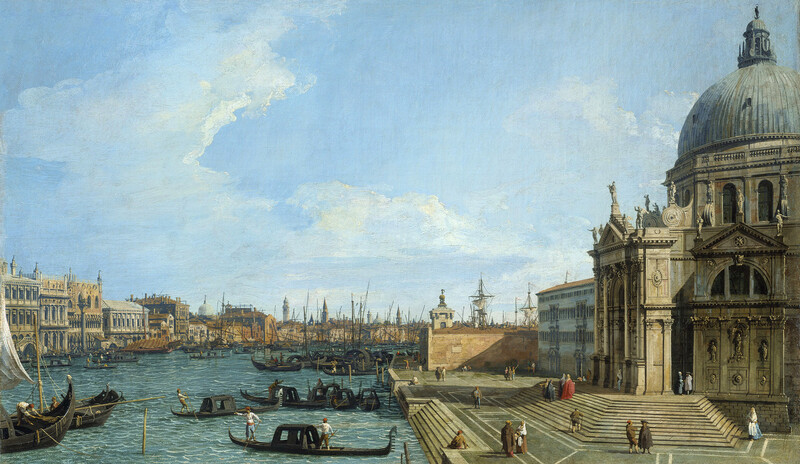 Title: The Grand Canal with Santa Maria della Salute towards the Riva degli Schiavoni. Date: c. 1729-1730. Materials: oil on canvas. Dimensions: 47.7 x 80 cm. Nr. : RCIN 400520. Source: https://commons.wikimedia.org/wiki/File:Canaletto_-_The_Grand_Canal_with_S._Maria_della_Salute_towards_the_Riva_degli_Schiavoni_RCIN_400520.jpg. I have changed the light and contrast of the original photo. Bernardo Bellotto – The Royal Castle in Warsaw. 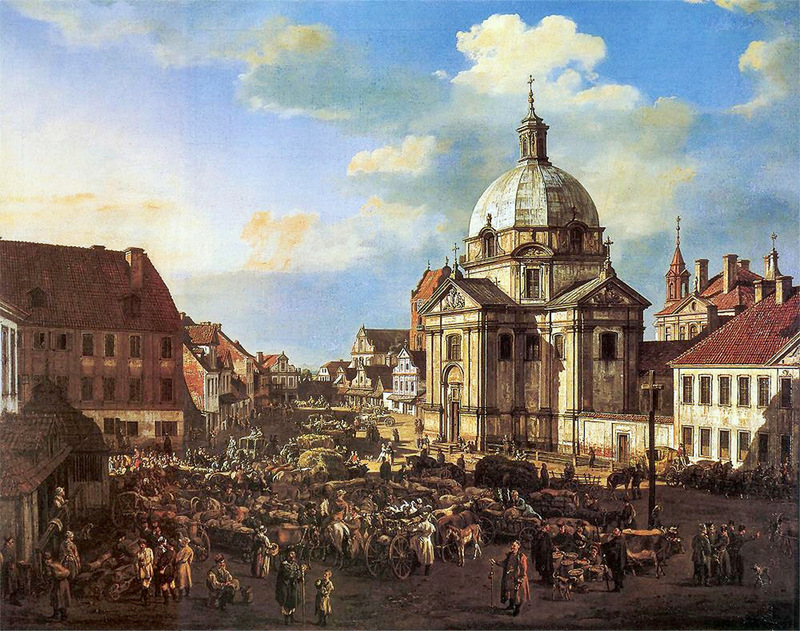 Title: The New Town Market Square with St. Kazimierz Church. Date: 1778. Materials: oil on canvas. Dimensions: 84 x 106 cm. Source: http://www.porta-polonica.de/sites/default/files/assets/images/neustaedter_markt_kat_nr_58.jpg. I have changed the light and contrast of the original photo.